UEFA Under 19 Championships N.I. 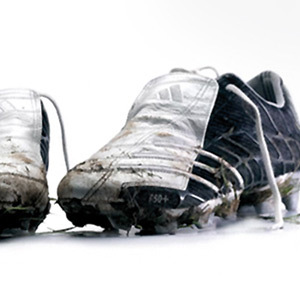 UEFA were looking for an outdoor and radio campaign, which created excitement about the event but also had a local slant to the overall message. 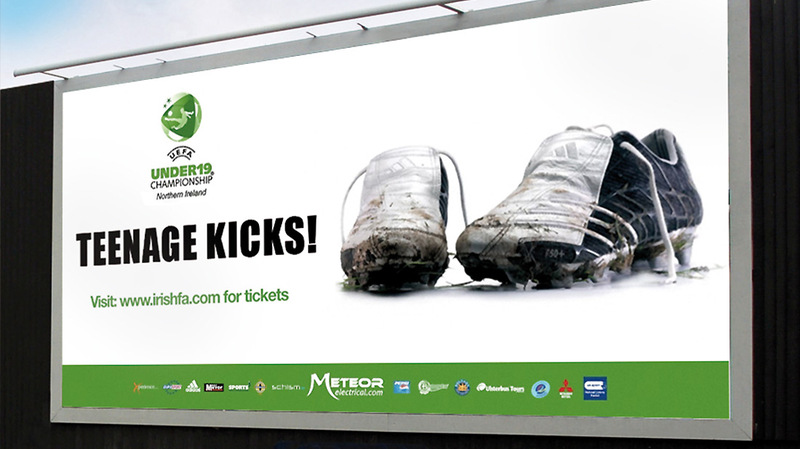 We created the campaign around the iconic Northern Ireland song 'Teenage Kicks' by the new wave band 'The Undertones'. Simple, effective and quintessentially Northern Irish. The Police Service Northern Ireland wanted a hard-hitting campaign to target the increasing levels of under-age drinkers within Northern Ireland. We considered what age whould the general public see under-age drinking as wrong. 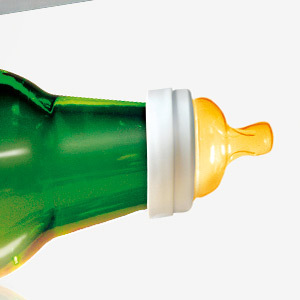 We went for a very shocking image of a baby's teat on a bottle of cider which created controversy when it was printed. 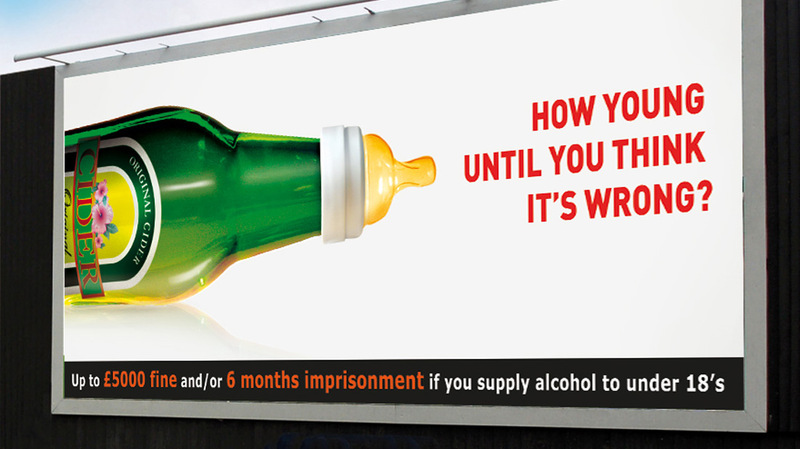 This was exactly what the client wanted to shock people into thinking more about the very serious issue of children drinking. Veda bread is a much loved product in Ireland but had lost some ground due to its slightly old-fashioned image. 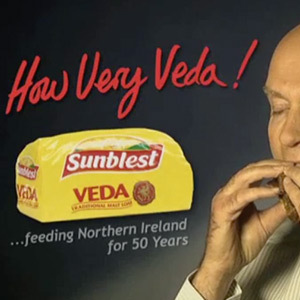 Sunblest tasked us with re-vitalising the brand so we decided for the first time it should go on TV and should show several different ways of eating Veda bread that no-one had thought of. We also came up with the catchy line 'How Very Veda' and Sunblest saw 14% increased sales in one month of this campaign for Veda bread. The charity One Small Step is a philanthropic organisation helping Northern Ireland confront and overcome sectarian issues. The brief was to create a striking campaign that showed visually the barriers that hatred can cause within society. 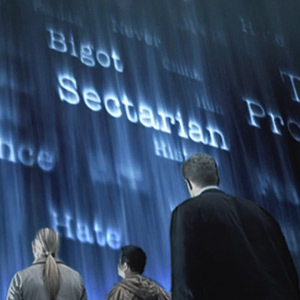 We created 'The Sectarian Wall' concept to drive home to the public how this wall of hatred was holding them back and if they could just break through it that their society would thrive. A very powerful and thought provoking campaign. 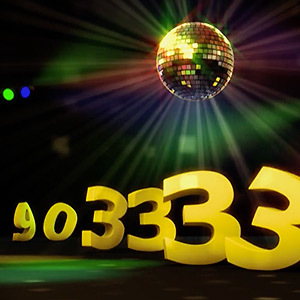 'How do you make a phone number interesting and memorable to an audience?' that was the question asked by fonaCAB. So we decided to have some fun and created scenarios where the numbers were the customers of fonaCAB in fun and pertinent situations around Belfast. 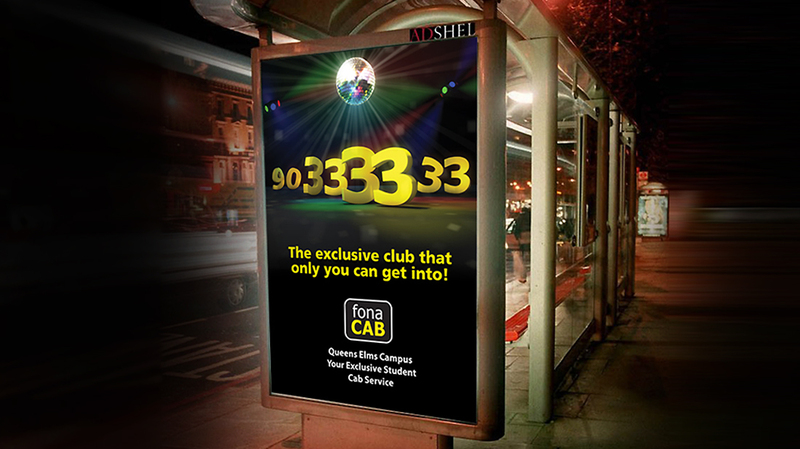 Simple, witty and memorable and a campaign which put fonaCAB's marketing on the map. Dekko was a boutique furniture store that had a very Scandinavian feel to it. The TV campaign we created was very tongue in cheek, taking a wry swipe at our European counterparts and won numerous awards in Northern Ireland (PANI) and was so successful that it was copied by the very famous large Scandinavian furniture store we all know and love.